Celebrate Mom with SKC! | Scott Key Center, Inc. 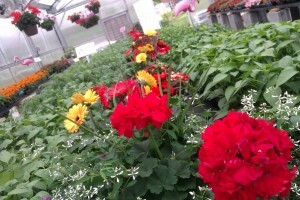 This weekend is SKC Garden Center’s MOTHERS DAY EXTRAVAGANZA. This Friday and Saturday May 11th and 12th. Stop by and see us between the hours of 7:30 am and 3 pm to get your annuals, perennials, vegetables & herbs, as well as your other gardening needs. Our qualified staff will be here to assist you.